If you know me at all (even just a tiny bit), then you know that organization is not exactly my strong suit. I'm actually really (REALLY) terrible at it. When we moved into our new home I finally had the chance to start FRESH so I decided to recruit some major help. I knew that with the right people and the right products, I could create an organized, clutter-free, functional space. Today I'm (finally) revealing my kitchen organization project with The Container Store and NEAT Method. If you're not familiar with NEAT Method, let me introduce you to these actual MIRACLE workers. 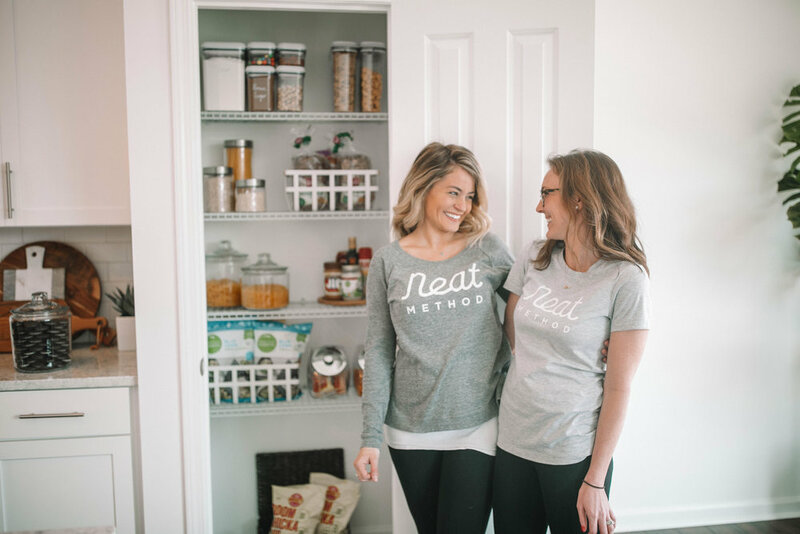 NEAT Method has locations all over the country, but I worked with the local team here in Indy (Devon and Sarah) and they were incredible! The super short version is that NEAT Method helps organize your home. But really, it's so much more than that. NEAT Method designs and implements a customized organization solution that works for YOU and YOUR needs. They really help set you up for success so their work will be sustainable and effective for your lifestyle. Devon and Sarah were SO fun to work with. 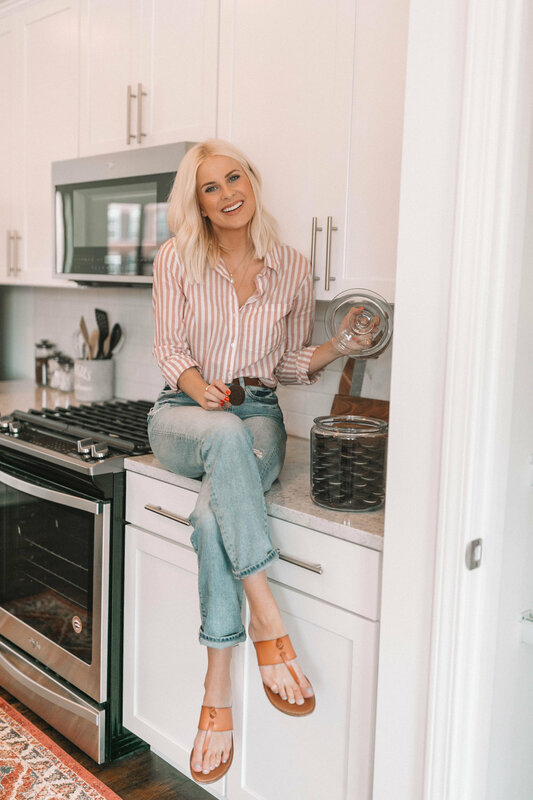 They listened to what I had in mind for my space, they asked questions about how I like my kitchen to function, but they also gave tons of great suggestions (and trust me, I listened to the experts). Again, the goal for this project to be sustainable, not just a quick fix that won't last. We specifically focused on the pantry, the refrigerator, and a couple of my cabinets. Prior to the organization sesh, I had met with Devon and she suggested a list of items that I would need from The Container Store. 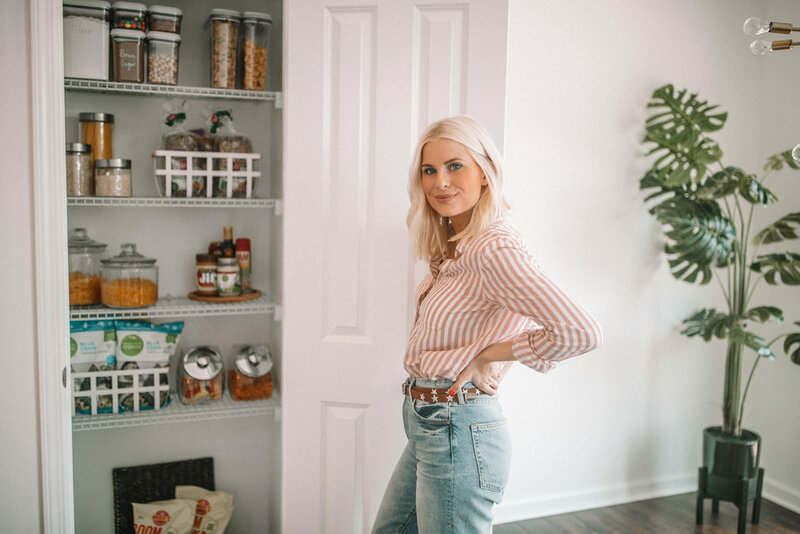 She has organized so many homes, so she really knows what products are MUSTS for organization. She always shops at The Container Store for her projects and she knew exactly what I would need. The Container Store has literally everything you could possibly need to help organize your home, and I wanted it ALL! But as I mentioned, we decided to start with the kitchen. Here are a few of my FAVORITE items that I got from TCS. 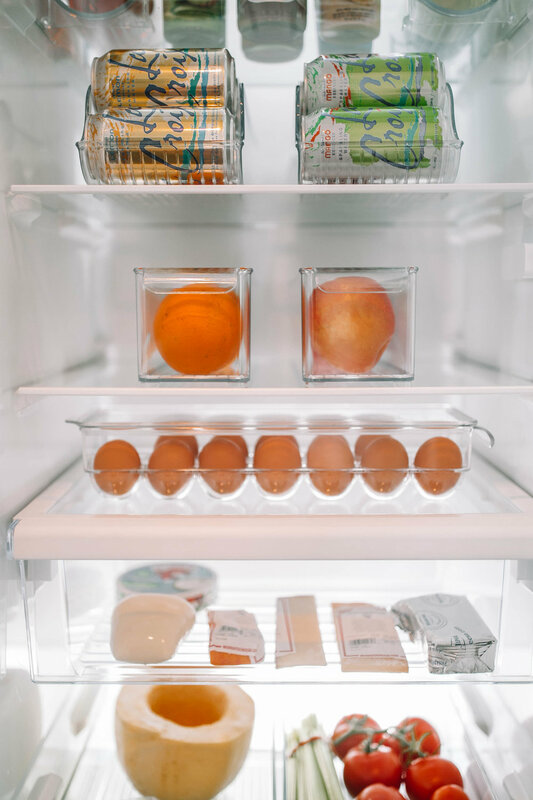 Fridge Binz- I never knew a refrigerator could be so organized! 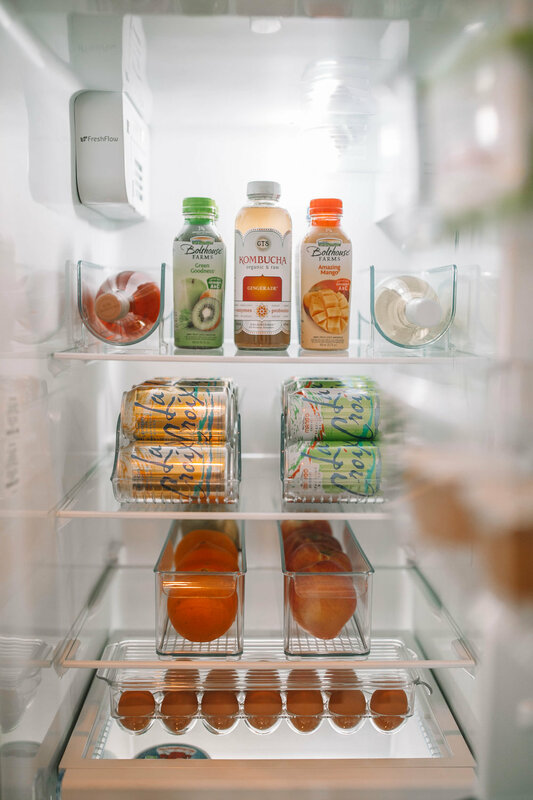 All of the Fridge Binz are stackable so you can customize them to fit your refrigerator. They're super durable and freezer/refrigerator safe. OXO Pop Cereal Dispeners- Not only are these much more aesthetically pleasing than a cereal box, but they keep your cereal FRESH. Throwing my husband under the bus for a sec... but he always forgets to roll down the cereal bag leading to a stale morning breakfast. Problem solved with these guys! POP Canister Set- These are perfect for snacks, baking ingredients, candy, etc. They come in a variety of sizes to fit whatever you're looking to store. Anchor Hocking Glass Canisters- Just being 100% honest, I got these because of the Kardashians.... I love how they stack their cookies in these jars. So chic. Also perfect for noodles, granola, oat meal, etc. Tosca Basket- These are perfect for bread, bagels, bags of chips and other big snack bags. Bamboo Expanding Shelf + Spice Jars- I love that my spices are finally organized and I can see them all clearly when I'm looking for something. Usually I just shove them all in a corner but with this staggered shelf, I can see exactly what I'm looking for. Bamboo Turntable- This would also be great for spices or cooking oils. I decided to use it for some of my vitamins and supplemnts. Glass Canisters with Walnut Lids- These are perfect for lots of items, but we decided to use them for coffees and teas. They're so beautiful so we wanted to display them on the countertops. Sarah and Devon came in like a storm and completely transformed my space. I'm so beyond happy with how everything turned out! The photos really speak for itself. With apartment living in the past, I've never actually had a pantry. I was so excited to see how organized and functional this space looked when Sarah and Devon finished their work. They have such a sharp eye for detail and they really knew how to set this space up for success. I love that when I come home from the grocery store, I actually have a place for everything in my kitchen. The clear canisters from The Container Store not only look amazing, but make it so easy to find what you're looking for. NEAT Method + The Container Store was such a dynamic duo for this space. Not all heroes wear capes, y'all! 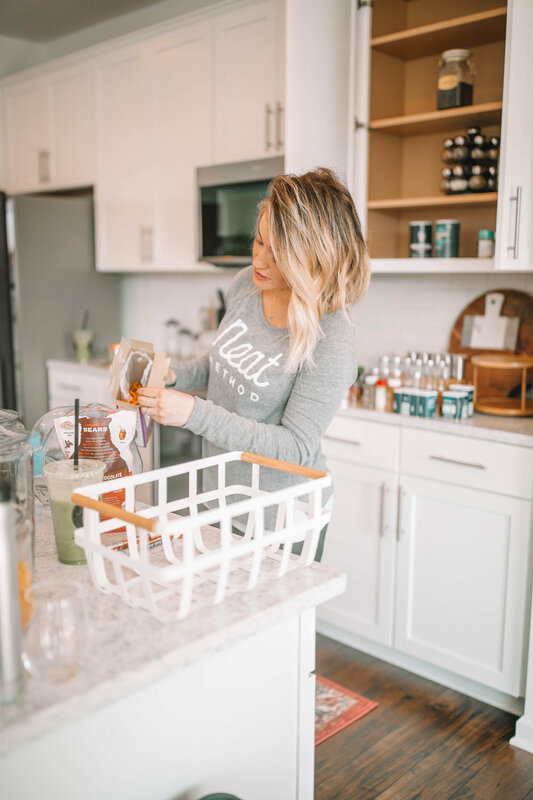 If you'd like to book a consultation with NEAT Method Indy, you can click here. We solely focused on kitchen organization, but they do so much more than just that! They have moving services where they assist with the moving process from start to finish. They have a pre-move “purging session” where they take donations/consignments prior to the move. They will also unpack and organize kitchen/pantry, master closet and beyond. They manage the full move logistics (including the movers), unpack all items, help withe product selection, and product implementation/labeling. Really, the possibilities are endless.